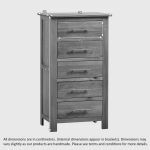 We make chests of drawers to fit all spaces, and this well-proportioned tallboy with five deep drawers is a great addition to the Rivermead range. 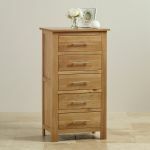 Just right to fit in an alcove or other narrow space, you’ll wonder how you managed without it. 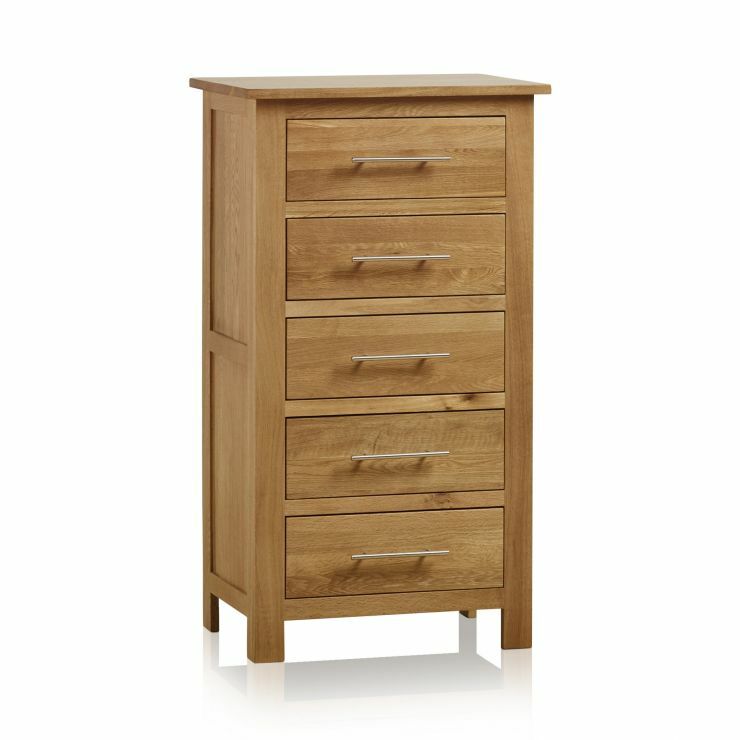 A naturally finished style with modern lines, Rivermead is made from 100% solid oak throughout. 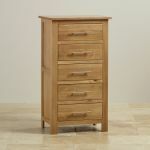 The range has a timeless feel, with its strong construction and clean style. 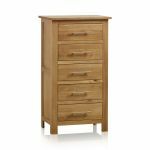 The natural oak sets off the natural beauty of the oak and its unique grain patterns, complemented by the long, brushed metal handles.